Introducing the latest specialist display concept from Meister by Timba Floor. This new retail display can transform your showroom environment to aid in selling this fantastic range of flooring products. Alternatively, the full Meister by Timba Floor offering can be shown using four display units. For more information on these new Meister Display Concepts, please contact your account manager or our sales office. Upon first glance it may just seen like another eco-friendly post, but as the world we live in changes to be more eco-focussed, it is not something we can simply ignore. Formaldehyde is a highly toxic organic compound, often used in wood & timber industry to make adhesive resins for composite wood products such as flooring, composite wood cabinets, fireplaces and even picture frames. In fact, approximately 1 million metric tons of Urea-Formaldehyde is produced each year and 70% is then used by the wood and timber industry. Don’t panic, all wooden fixtures and furniture in your home may have trace amounts of Formaldehyde in them, but in fact small amounts are harmless to humans, we have been known to have very small amounts of Formaldehyde in our bodies. The level of Formaldehyde only becomes a bigger concern when products are produced with individually high levels leading to a dangerous level of exposure that could prove harmful to us and the environment. 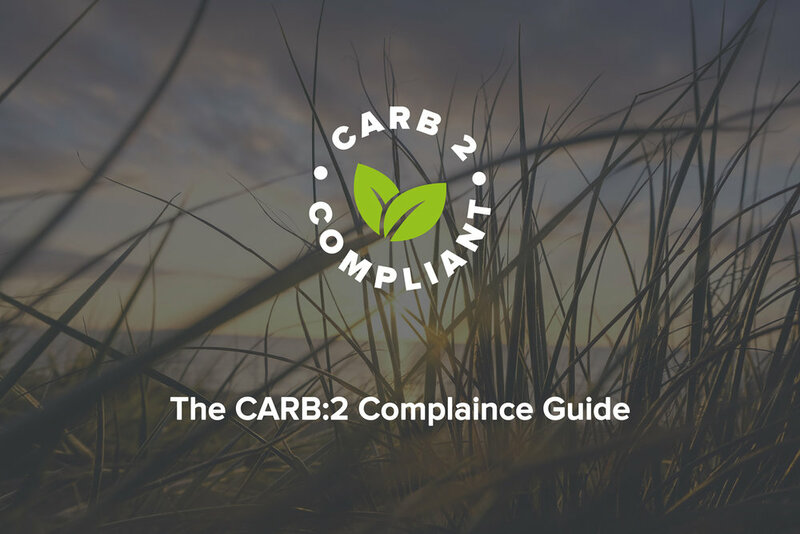 So the question you might now be asking yourself is ‘How do I ensure the products I am buying don’t contain high levels of Formaldehyde?’ This is where the CARB 2 Compliance comes into force. CARB Phase 2 Compliance is a certification process set up by the California Air Resources Board. The regulation has to do with reducing formaldehyde emissions from composite wood products such as plywood, particleboard and medium density fibreboard (MDF). This regulation is important because it ensures the air we breathe is healthy and free from carcinogens that can harm us. As of 2011, formaldehyde was added to the federal government’s carcinogen list due to its health effects – often nose and throat irritation, burning eyes, wheezing or difficulty breathing, headaches, and nausea. Formaldehyde is a colourless gas and is emitted from a variety of sources – fireplaces, tobacco smoke, and wood burning stoves, to name a few. In the flooring industry, it’s often used to make products including resins that are used as adhesives for composite wood products. At Timba Floor we always like to ensure our customers that we are doing the upmost to ensure our products not only look stunning in your home, but also are manufactured from sustainable sources and do not emit any volatile compounds that would pose a danger to you or your family. With this in mind all of our Timba Floor Engineered products feature the CARB 2 compliance and our SGS test results are available here and here. Over the summer, we have been hard at work putting the finishing touches to our latest product brochure. The new Timba Floor brochure for 2017/18 is now available, outlining the full range of stunning products that make up the Maxiply, Timba and Meister brands. Whether you’re looking for a Laminate, Engineered, Solid or something more innovative, we have many options to choose from. We have both digital and hard copies available. If you would like to view the digital version, please click here. Alternatively, if you would like a hard copy, please register your interest by dropping us an email. In the coming weeks, our team in Nuneaton will be allocating these onto pallet orders for our brand partners. So, if you're a Timba Floor partner and have one of our display stands in your store, please expect a box of brochures to accompany your display stand. At Timba Floor we are proud to announce the arrival of our new Engineered Retail displays. These retail displays will transform your showroom or retail space and offer your customers the ability to view a stunning collection of engineered flooring. When we set to work developing these stands, we wanted to offer our customers a stand that is not only cost effective, but also doesn’t take up a huge footprint within your retail space. We have carefully selected the boards on these displays to offer the full spectrum of colours we offer, but also the wide variety of board sizes available. In turn this gives the customer the ultimate choice from the Timba Floor engineered collection. The Retail Display stands measure 580mm wide, 1820mm high and 1300mm deep. Each stand is supplied with 10 Display Panels and has the ability to showcase 33 different flooring options to your customers. Below you will find the complete selection of board colours that are included with our Engineered Flooring Retail Display. If you are a trade customer and would like to enquire about how you can become a Timba Floor retail partner, drop us an email on sales@timbafloor.com and one of our team from your area will be in touch with more details on how we can become your next flooring partner. We are pleased to introduce the new 10mm Premium Laminate Flooring range from Timba Floor. The new range has a stunning array of 8 decors per collection that will truly inspire any interior space. The easy to use ExpressClic Fixing System makes installing this product a breeze. With an impressive 10mm board thickness, V4 Micro Bevels to each side and longer than average board lengths we think this new range of laminate flooring is well suited to today’s changing market where consumers are looking for new and innovative flooring solutions. Along with the great features we also back the new laminate range with a +20 Year Residential Warranty to ensure the flooring looks and feels great for years to come. Our 14mm 5G Engineered range of products come with the Valinge 5G Patented Locking system. This system is quick and easy to install and to show you how easy this process is, we have compiled this video showcasing other floor locking systems in comparison with the Valinge 5G technology. If you would like more information on our range of 14mm 5G Engineered Oak, please visit the Timba product page or contact us via our social networks and one of our dedicated team will be happy to answer any of your questions.